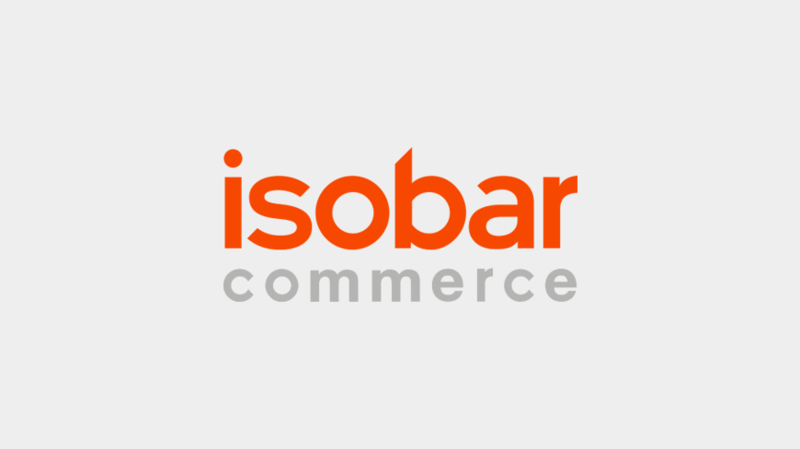 Isobar today announced the launch of a global Isobar Commerce practice. The commerce practice will deliver commerce experiences for clients through globally integrated platforms and solutions that are informed by local insight. This will bolster Isobar’s strategic capability to deliver commerce solutions through the Isobar Commerce practice and will include 1,000+ commerce specialists across Isobar’s network in Americas, EMEA and Asia-Pacific. As part of the launch, centres of excellence have been established in Americas, EMEA and Asia-Pacific, and market-leading commerce company Bluecom will be rebranded as Isobar Commerce. The practice will include all Commerce centres of excellence, all e-Commerce, m-commerce, retail commerce experts and Commerce off-shore delivery centres within the Isobar network. Combined with the digital creative, design capability and omni-channel expertise within Isobar, the Isobar Commerce practice will bring brand inspiration and commercial interaction closer together. The practice will further improve the performance, efficiency, and ROI for a client’s digital transformation efforts and support Isobar’s position as a leading digital agency. Isobar is the only agency named as a Leader on Gartner’s Magic Quadrant for Digital Marketing Agencies for the third consecutive time (2015, 2016, 2017) and as a Leader in The Forrester Wave™: Digital Experience Service Providers, Q4 2015. The Practice will deliver commerce experiences using platforms and solutions with the biggest technology players, including Salesforce, Adobe, SAP Hybris and Magento –combining strategic, technology and operational support to multimarket and regional clients. It will also cover strategy and brand commerce in third-party market-places, such as Amazon and Tmall. The end-to-end offering includes commerce strategy and consulting, customer experience design, data and technology implementation and platform management to ensure rapid growth for our clients. Isobar is a Platinum Salesforce Partner, is the Asia Pacific leader in Salesforce Commerce Cloud (Demandware) and has one of the largest Salesforce Commerce Cloud skill-sets in the world. Isobar is also a Global Alliance Partner with Adobe and an Adobe Marketing Cloud Specialized partner in Adobe Experience Manager. It is a SAP Hybris Partner and SAP Hybris Value Added Reseller (VAR), Microsoft Managed Partner, an Oracle Business Partner, an Apple Strategic Partner, and is the Asia-Pacific Leader for Magento. Isobar Commerce was awarded 2016 Partner of the Year by Demandware and Magento. Isobar also leverages partnerships with key ecommerce partners globally such as Amazon (Alexa skill certified), and Alibaba.